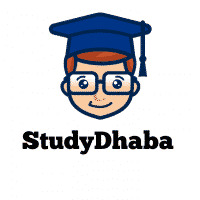 Download Economic Survey 2016 Free PDF – Economic Survey 2015-16 – Hello friends Welcome to studydhaba.com .Here We are sharing Economic Survey 2016-17. Finance minister Arun Jaitley tabled the Macro-Economic Survey 2015-16 in Parliament. The economic survey was prepared by the Chief Economic Advisor Arvind Subramanian. In accordance with survey, Indian economy is growing at a pace of 7-7.5% and it is expected to accelerate at 8% in the next couple of years. India’s macro-economy is sturdy and it is likely to be the fastest growing major economy in the world in 2016 as it shows an expansion from 7.2% in 2014-15 to 7.6% in current fiscal. 2016 – 17 expected to be challenging from fiscal point of view. Credibility and optimality argue for adhering to 3.5% of GDP fiscal deficit target. CPI inflation seen around 4.5 to 5% in 2016 – 17. Confidence in price stability has improved and it is expected that RBI to meet 5% inflation target by March 2017. Prospect of lower oil prices over medium term likely to dampen inflationary expectations. 2016 – 17 current account deficit seen around 1-1.5% of GDP. Rupee’s fair value can be achieved through monetary relaxation. India needs to prepare itself for a major currency readjustment in Asia. Gradual depreciation in rupee can be allowed if capital inflows are weak. Proposes widening tax net from 5.5% of earning individuals to more than 20%. Tax revenue expected to be higher than budgeted levels in FY15 – 16. Favours review and phasing out of tax exemptions. Estimated capital requirement for banks likely around Rs 1.8 trillion by 2018 – 19. Corporate, bank balance sheets remain stretched, affecting prospects for reviving private investments. Underlying stressed assets in corporate sector must be sold or rehabilitated. Govt could sell off certain non-financial companies to infuse capital in state-run banks. Govt proposes to make available 700 bn rupees via budgetary allocations during current, succeeding years in banks. In accordance with the economic survey 2015-16, India ranks first in milk production, accounting for 18.5% of world production. It achieved an annual output of 146.3 million tons during 2014-15 as compared to 137.69 million tonnes during 2013-14 recording a growth of 6.26%. The economic survey projected India to grow 8 percent in the next couple of years. Services continue to be key driver; expected to be 9.2% in 2015-16. Credibility argues for adhering to 3.5% fiscal aim for FY17. FY16 subsidy bill is below 2% of GDP. Fertiliser subsidy should shift to direct cash transfer. A flagship annual document of the Ministry of Finance, Government of India,Economic Survey 2015–16 reviews the developments in the Indian economy over the previous 12 months, summarizes the performance on major development programmes, and highlights the policy initiatives of the government and the prospects of the economy in the short to medium term. This document is presented to both houses of Parliament during the Budget Session.